Hope everyone is enjoying all this great weather we have been having. My favourite place to take a drive and cool off is by the water. 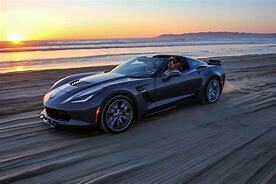 Where is your favourite place to drive your Corvette? Loved to hear from you guys where you like to cruise to when the summer’s heat is on. You can also share with us on our facebook page. By Pamela Moroney|2018-07-10T16:55:20+00:00July 10th, 2018|Uncategorized|Comments Off on THE HEAT IS ON!!!!!!!!!!!! !